This item is manufactured with premium plastic material for durable and long-lasting use. 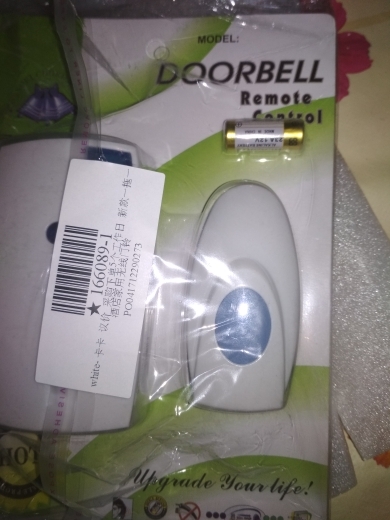 This item comes with a doorbell receiver chime and a remote controlled button transmitter for your convenience, and long remote range of 50-100 meters in open air ensures you to hear the bell and answer the door in time. High-quality voice processing technology integrate with 36 tunes for your preference. The doorbell is applicable for home, apartment, hotels, office and other places. Choose one to make your life easier and more convenient.